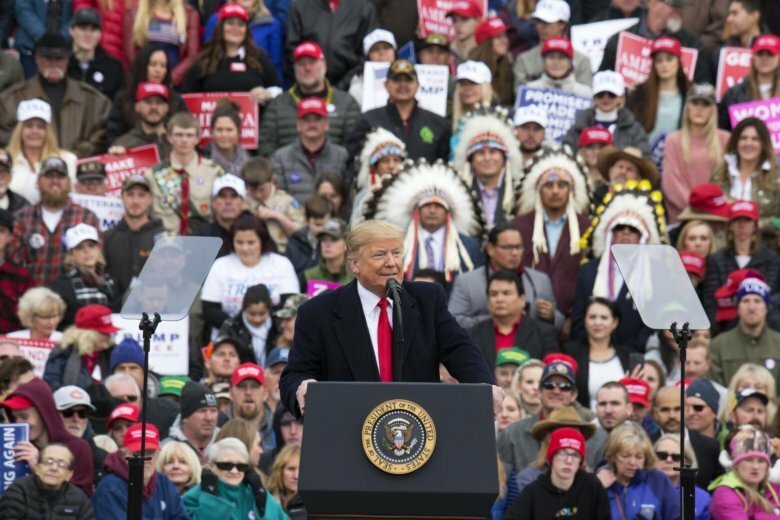 President Donald Trump has been acting like a candidate on the ballot this week, staging daily double-header rallies and blasting out ads for Republicans up for election on Tuesday. On the flip side, if Republicans maintain control of the House and Senate, that’s not only a victory for the GOP, but a validation of Trump’s brand of politics and his unconventional presidency. That result, considered less likely even within the White House, would embolden the president as he launches his own re-election bid. Throughout the campaign, Trump has been tested out other explanations — pointing to historical headwinds for the party of an incumbent president and complaining about a rash of GOP retirements this year. He told the AP last month that he won’t bear any responsibility should Democrats take over. Meanwhile his staff has begun preparations to deal with a flood of subpoenas that could arrive next year from Democrat-controlled committees and the White House counsel’s office has been trying to attract seasoned lawyers to field oversight inquiries. Should they take the House, Democrats are already plotting to reopen the House Intelligence Committee’s investigation into Trump campaign’s ties to Russia. Other committees are plotting aggressive oversight of Trump’s administration and his web of business interests. Some Democrats are looking at using the House Ways and Means Committee to obtain copies of the president’s tax returns after he broke with decades of tradition and withheld them from public scrutiny during his campaign for the White House. But while the results may reveal weaknesses in the Republican coalition, midterm elections are very different than presidential years. Republicans were quick to point out that the party in power typically suffers defeats in midterms. Former President Barack Obama was in his words “shellacked” in 2010 and went on to win re-election in 2012.